We all know how important it is to have a trusting, meaningful, long-term relationship with our primary care doctor. Compassion cannot be rushed, empathy comes with understanding our individual concerns, and a healing relationship deepens with time and mutual respect. These elements of an effective doctor-patient relationship are integral to my personalized medical practice. Medicine at its best--supporting direct access to your doctor, who knows you, in a relaxed, supportive setting that eases the way to the healthcare you need and deserve. Your annual membership fee makes you part of an exciting, innovative practice that aligns with optimizing your health and includes your Comprehensive Annual Physical Examination. The Women’s Annual is also included for female patients. Dr. Lindsay is a Board Certified primary care physician. She trained at the University of Southern California Keck School of Medicine, followed by residency at Harbor-UCLA. 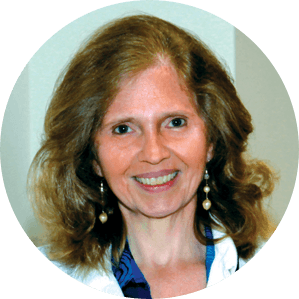 She is the past President of the American Medical Women’s Association in the South Bay, and had a busy private primary care practice in Los Gatos for twelve years. She established a personalized medical practice in Willow Glen in 2015. She provides comprehensive acute, chronic, and preventive care to patients ages 13 and older. Schedule Your Complimentary Introductory Consultation with Dr. Lindsay today. We accept patients with and without insurance.We are in-network with Medicare, and bill all PPO plans. Although we are out-of-network with PPO plans, we bill them directly similar to in-network physicians. Practice members pay an annual Concierge fee that includes the Comprehensive Physical Examination and Wellness Plan, and other medical services when appropriate, such as The Women’s Annual Visit for patients who desire this option. The annual Concierge fee is not covered by insurance. However, many employers offer spending accounts (FSA, HSA) that may cover the fee. What does Concierge membership include? Your Comprehensive Annual Physical Examination is part of your practice membership, plus the Annual Women’s Health Examination for female patients. Your in-depth preventive examination includes an overview of your health status, recommendations for necessary periodic health screenings and vaccinations, complimentary annual flu shot, individualized exercise, nutrition, and health goal counseling, and a personal wellness plan. When indicated, in-office tests such as EKG’s are included. A number of Concierge services are part of practice membership. Please see ‘Home’ and ‘Concierge Services’ tabs in our website. My goal is to provide the highest quality medical care and service, emphasizing a proactive, comprehensive approach to both disease prevention and wellness enhancement. These services will be provided in a relaxed yet professional setting. From the moment you enter my office, I want you to be completely satisfied with every aspect of your care. How is your Concierge practice different from other practices? My Concierge practice is a private practice, working directly with and on behalf of the patient. I am not an employee of any medical group or organization, and I am not limited by institutional protocols in how I approach, treat, or assess a patient. I limit my practice size so I can devote more attention to each patient’s individual needs. This allows me extended time for office visits, telephone consultations, email communications, and coordination of care with specialist. Are you in-network with Medicare? Yes. My office will file claims on your behalf with Medicare and your supplemental insurer in accordance with Medicare regulations. For any patients who may have Medicare Advantage plans, office visit fees will continue to be the responsibility of the patient. No. The annual membership fee only includes services that are not covered by Medicare and will not be paid for or reimbursed by Medicare. We will submit claims to Medicare and your supplemental insurance on your behalf for Medicare-covered services. Do you take my PPO private Insurance? Yes. Although we are not in-network with private insurance plans, we bill your plan on your behalf similar to an in-network physician. As an out-of-network provider, we do not charge co-payments. We do charge a limited office visit fee at the time of service. When possible, I will refer you to in-network specialists for any necessary consultations, and to in-network facilities for tests and hospitalizations as medically indicated. Those services will be covered and billed separately according to your particular insurance plan. Will private insurance reimburse my annual fee? No, it is not reimbursable. In many cases, it is possible to pay for the annual fee with a Flexible Savings Account (FSA) or Health Savings Account (HSA). You are advised to consult your human resources representative, your FSA or HSA plan manager, or your tax advisor. The fee is a medically-related expense and may be deductible. Please consult your tax advisor to clarify qualification in your particular circumstances. No. California law prohibits us from accepting Medi-Cal enrolled patients. Yes. You are welcome to join the practice even if you do not have insurance. The annual Concierge fee and the office visit fees apply. Do I still need health insurance if I enroll in your practice? Yes. Concierge membership does not take the place of general health insurance coverage. You are advised to continue your PPO, Medicare, or other insurance program as well as participate in your FSA or HSA plan. What are my membership options? Do you see children? We have individual and couple’s enrollment options available. We are happy to see women, men, and children from ages 13 and over. Up to 2 children-including adult children up to age 26- are included in their parents’ enrollment with no additional membership fee. We accept all major credit cards, check, and cash.